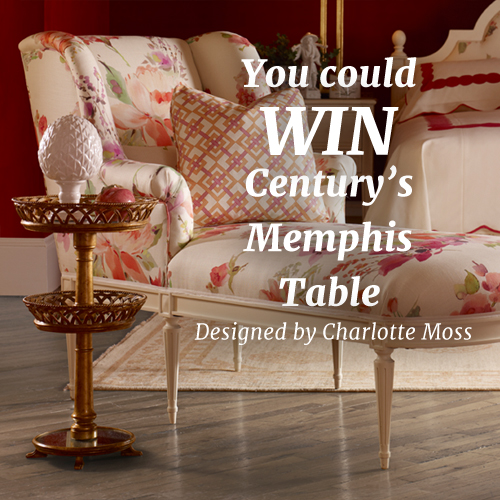 WIN CHARLOTTE MOSS's MEMPHIS TABLE FOR CENTURY! Win it? Yes, Hadley Court readers! Read on! Enchanting. Delightful. Charming. Elegant. These are just a few of the adjectives that come to mind when describing the Memphis Accent Table, above, part of The Charlotte Moss Collection for Century Furniture (www.centuryfurniture.com/) introduced at the recent Spring High Point Furniture Market. 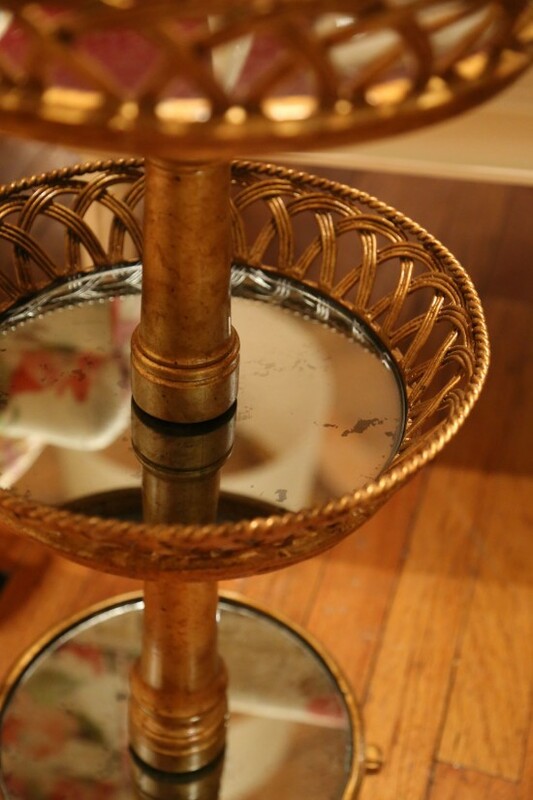 But there’s something even more exciting about this lovely tiered accent table with gold-leaf finish and antique mirrored surfaces. The Memphis Accent Table is the first giveaway that Hadley Court is offering in our brand new #TIMELESSDESIGN SWEEPSTAKES! Is winning it easy? YES! Just like our Facebook Page or give us your email. That’s it! A random winner will be picked and the winner announced on the blog and on our Facebook Page on July 3rd! With this accent table that’s as functional as it is beautiful (offering a perfect perch for a cup of tea, a glass of wine, a pen and paper, a watch or set of keys), Hadley Court is beginning our Timeless Design Sweepstakes series in partnership with two of America’s most iconic brands representing timeless design: Century Furniture and Charlotte Moss. Our Founder and Editor-in-Chief, Leslie Hendrix Wood, has personally selected each item in our #TimelessDesign sweepstakes series, with the criteria being that the furnishings piece from each participating manufacturer epitomizes timeless design– one of the three attributes of the Hadley Court brand – along with gracious living and family traditions. 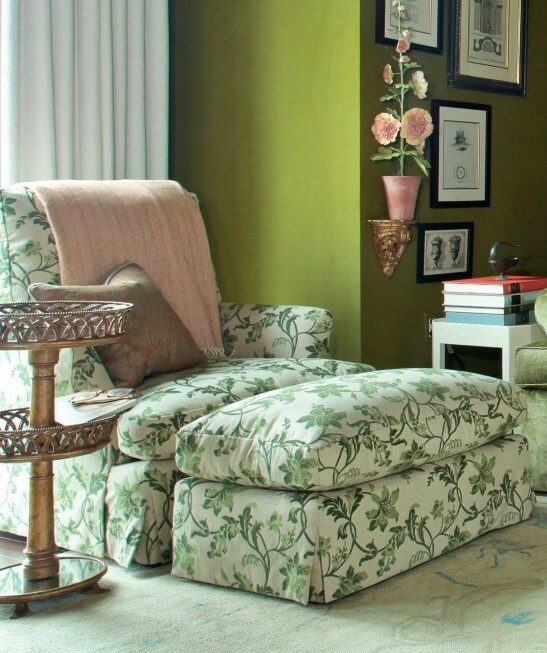 Charlotte used the Memphis accent table in this vignette – one of her many rooms over the years for the Kips Bay Showhouse in New York City. If you’d like to read more about Charlotte Moss, one of America’s iconic designers, a dedicated gardener and major philanthropist and see more pieces from her beautiful new collection for Century – please check back for our post going live Sunday afternoon. To see her lovely new website, click here. Entering to win the Memphis Table in our sweepstakes that begins today and continues through July 2 at midnight, could not be easier. Simply visit our Sweepstakes Page here. And, with a click of a button on our entry form, simply like our Hadley Court Facebook page or, if you have already liked our Facebook Page, just click here to enter by email. Our winner will be selected at random on July 2 and announced July 3rd. For even more fun, let us know you entered by leaving us a comment on Twitter, Facebook or G+ using our hashtag: #TimelessDesign! We hope you will take part in the fun…and if you don’t win this table in our random drawing..don’t despair! Another beautiful table is coming up for you to win, in our new #TIMELESSDESIGN sweepstakes series that will run all summer long! All photos courtesy of Century Furniture and Charlotte Moss. « YOU ARE INVITED! 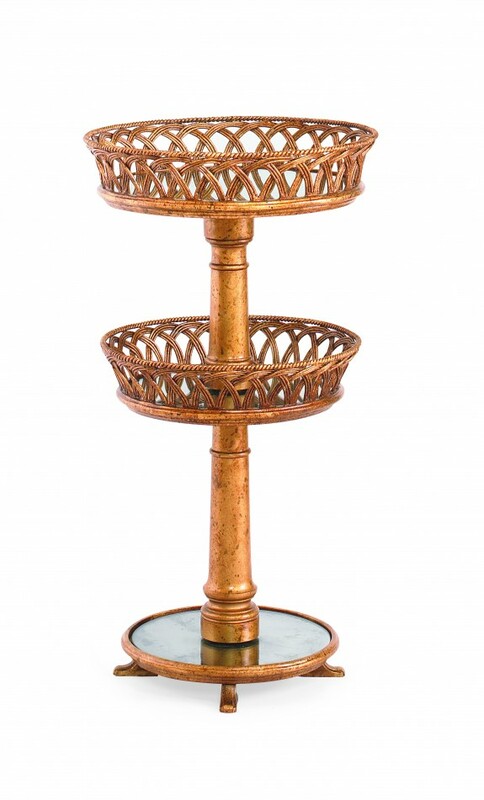 DALLAS MARKET CENTER’s #JUNESNEAKPEEK! I bpog often and I seriously thamk you for your information. I will certainly bookmark you blog and keep examining for brand-new info.